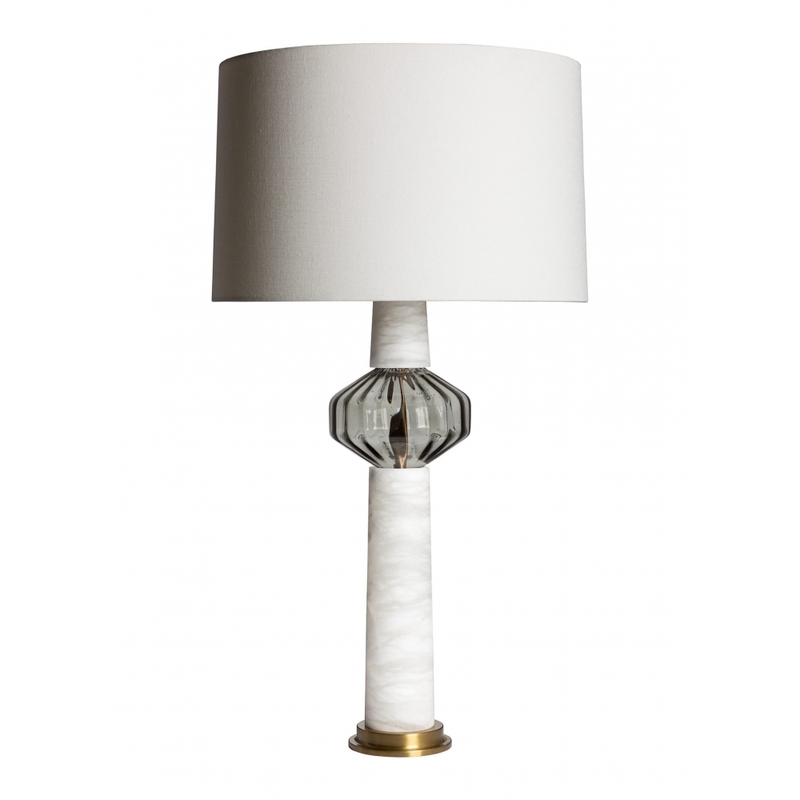 Designed by British based decorative lighting creatives at Heathfield & Co, the Minerva Table Lamp is a true statement piece combining the authentic natural patterning of alabaster with exquisite coloured glass and luxurious antique brass metalwork. The subtly conical form of the Minerva Table Lamp is beautifully intercepted by the sculpted glass detail which accents the gold and grey palettes of the brass and alabaster, adding a real sense of drama to this sophisticated table lamp. Choose from Clear, Smoke or Teal coloured glass options to add your own personal statement to your luxury interior design scheme.